map — Avant Novis Gaming, LLC. Avant Novis role playing system gives players, narrators the tools to create unique characters, game elements, and game settings. Players create unique characters to participate in custom made settings that are only limited by the imagination. We have a passion for map making and cartography. Here are some of our maps we made on our live stream. Check out our videos on our youtube channel and on facebook. We stream most weeks live on these channels. Want to use our maps for your personal home campaign? Support Avant Novis by buying one of our maps. Check them out here. 3. Map with a square grid overlay. 4. 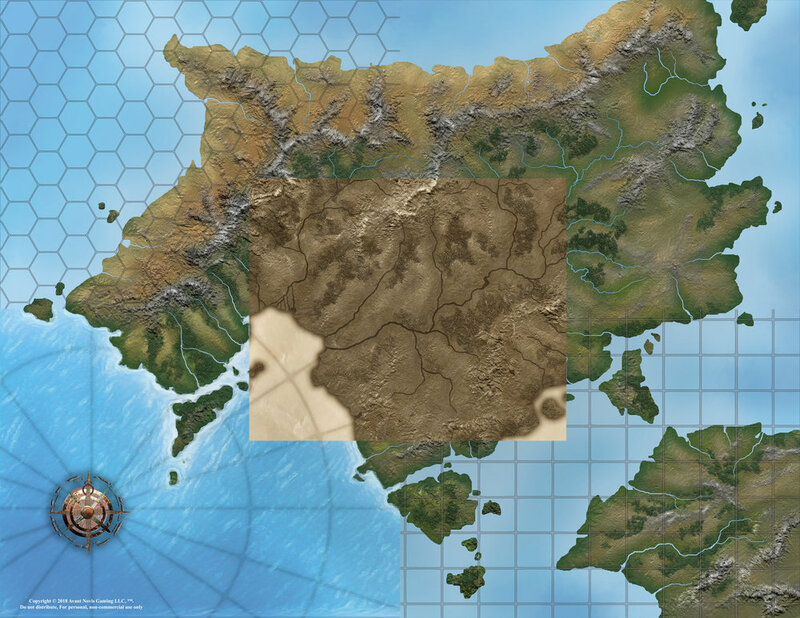 Map with a hexagonal grid overlay. 1 electronic Atlas with all styles.Our maps are four personal home use. Only crumbling scrolls hint of this Island's location. Thought to have been lost to time, this stark land offers a site for mysterious discoveries and long-hidden secrets. 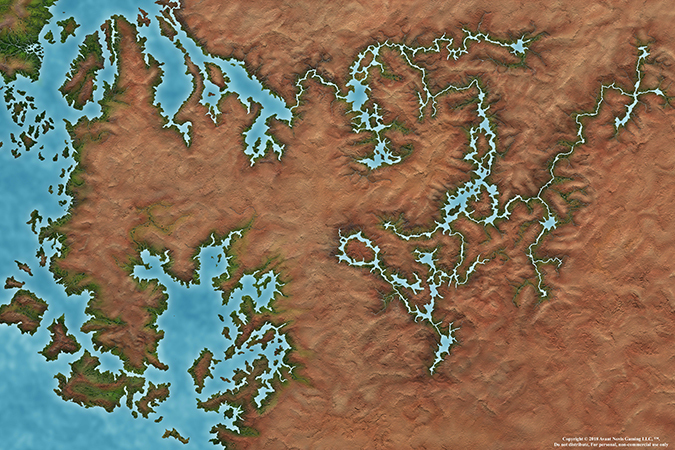 A temperate island that can be use of the cost of any campaign setting. What populate this island with whatever ancient secrets you can think of. From a warm climate in the north to a cold climate to the south, this map in a southern hemisphere is a great place a campaign setting or an adventure. Each campaign map is standard poster size, 36" x 24" inches, with a DPI of 450, that is an image resolution of 16,200 x 10,800. Empires framed in desert sands, like jewels on sapphire blue rivers. Preserve a legacy, or build a new. Let your Players explore on this exquisite land of sand, stone, and history. Stride through the sands of time and legends. The greatest civilizations call the Island Continent home. 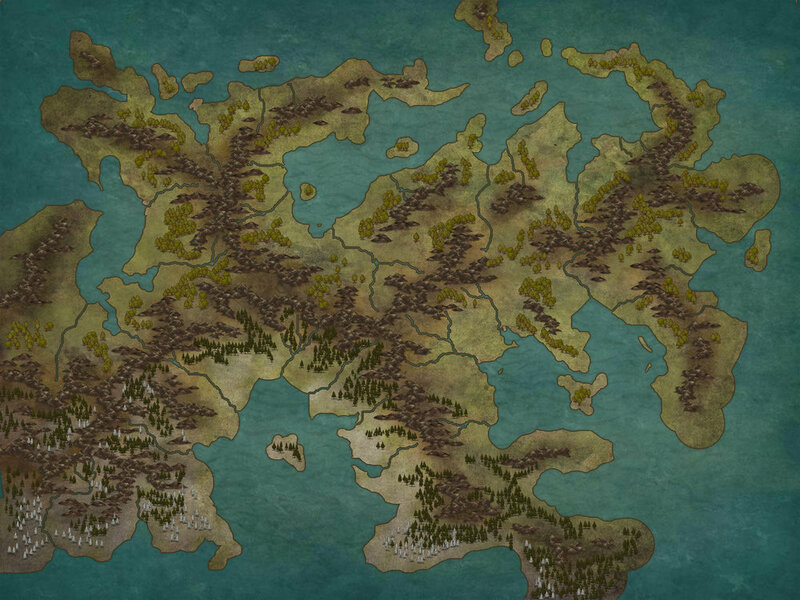 Varied climate, detailed geography will help world builders create the perfect epic. 3400 miles wide, 2400 high, see every hill, mountain and tree. Past Calamities have flooded this land. Ages ago the ocean tried to reclaim this land. Separated by churning waters, each individual island has developed its own unique aspects. This map is perfect for a story of exploration and discovery. Venus, Dawn’s Light, the evening Star. Conquer the past or the far future on our sister planet. The most detailed map we have ever created awaits your players. Each Map has 4 different Styles. 36” x 24” inches with a Dpi of 450. We specialize in very detailed maps. See every river, hill, and mountain. Each map set comes with an Atlas that is divided up into 18 pages with numbered markers. All Atlas' are compatible with electronic devices and ready print. Q. Where can we get these maps? Q. Where can I get a physical copy? A. 5.00$ USD for each map pack. Copyright © 2019 Avant Novis Gaming, LLC, ™. This Website and all material appearing in this Web site, are owned and distributed by Aavant Novis Gaming, LLC. ™ , and is protected by United States Copyright laws. You may not alter or remove any copyright or other notice from materials, digital, images captured or saved from this website. You may not copy, reproduce, distribute, publish, display, exhibit, modify, create derivative works, transmit, or in any way exploit any such content, nor may you distribute any part of this content in any without written permission from Avant Novis Gaming, LLC ™.